← SMC–KEVIN ASKS THE BIG QUESTION. I’m frequently frustrated by my lack of access to VA medical research because I’m not a student who has access to academic databases nor can I afford to subscribe to medical journals or databases. Public databases like PubMed provide abstracts and citations but the full text of many studies are locked behind pay-walls. For research funded by NIH tax dollars for FY 2009, and after, publishers have 12 months to deposit peer-reviewed works into PMC (formerly PubMed Central). Policy notes are here. Chang, Harry et al. “Medicare and Medicaid Enrollment and Outside Hospitalizations Among HIV-Infected and Uninfected Veterans Engaged in VA Care: a Retrospective Cohort Study.” BMC Health Services Research 15 (2015): 27. PMC. Web. 20 Feb. 2015. I’ve emailed NIH to see how I can read public domain articles. There’s a brand new article cited in PUBMED that I would like to read but can’t: Prevalence and Treatment of Chronic Hepatitis C Virus Infection in the US Department of Veterans Affairs. It states, “This work is written by (a) US Government employee(s) and is in the public domain in the US.” That means it is owned by the U. S. public--us! Yet this article is locked behind a paywall by Oxford Publishing (Epidemiol Rev. 2015;37(1):131-43. doi: 10.1093/epirev/mxu002. Epub 2015 Jan 19.). To read this article tonight , I would have to pay Oxford $39.00 for 1-day access (pay-per-view). I hope this is a just a mistake. I’ll let you know what I find out because up-to-date quality VA research can help win VA benefits claims and cannot be rejected by the VA as “Internet junk,” a problem some veterans have reported. After all, it’s from their own medical staff and researchers! Not having free access to this information puts veterans at a large disadvantage to those with reading privileges. Update: The author of the HCV research, Lauren Beste, has kindly emailed the paper to me (below) so I am grateful for that. Lauren works at Veterans Affairs Puget Sound Health Care System. The VA has some wonderful medical researchers on board and they want us to read the fruits of their hard work. This entry was posted in Guest authors, HCV Health, HCV Risks (documented), Jetgun BvA Decisions, Jetgun Claims evidence, Medical News, Nexus Information, research, VA Health Care, VA Medical Mysteries Explained, Vietnam Disease Issues and tagged ASKNOD BOOK, asknod.org, asknod@wordpress.com, Disabled Veteran, DIY vA Claims, Gulf War Vets Help, HCV Decisions, HCV Health Tips, HCV Veterans, HCVETS, Help with vA Claims, Help with vA HCV Claims., Helping Veterans, Korean War Vets Help, Service Connection, VA claims, vA claims for diabetes, vA claims for PCT, vA CLAIMS FOR PTSD, VA HCV Claims Help, Veterans Benefits. Bookmark the permalink. Your help is welcomed. I don’t see why we should have to wait a year to read a document authored by gov. employees or supported by gov. funds. 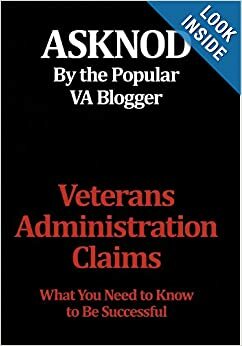 Some authors are compensated by say, the VA and an educational institution or hospital who have access to VA databases. If a paper is released online in January 2015, I think we should be able to read it in January 2015. Another problem I’m finding is the lack of email addresses for an author. Some papers have them, many don’t. PD docs should all be in PMC section of PubMed so we don’t have to go hunting around for email addresses, wasting precious time! I went to the Oxford University website and found out who the Regent is and started trailing him from there. I sent them an email but no response thus far. Hepper, The author, Lauren Beste, sent the study in an email so we’re good on this one! I posted the link in an update. But it’s great that you emailed them and if you get a response do let us know. Thanks so much. Just wanted them to know that there are those of us out there that depend upon updated medical information and it is not right to be “selling” it as it is/should be domain protected and free through the right to read laws. Agree: Do you have any interest or time to look into VA death certificates? For vets who die in a VA hospital. If they die of liver disease, do they also note HCV if the veteran was treated for it, or in their records? There would have to be a way to correlate the history with the death certificate. Getting eyes on anyone’s autopsy/COD files is a slippery slope indeed. 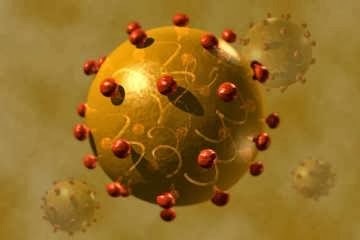 Seth, thank you for the link the the HCV article. Probably due to cookies, I can only access the abstract. But the author of the article has emailed it to me and I’ve posted the PDF online in an update. She works at the Puget Sound VA. Yay. Not having free access to this information puts veterans at a large disadvantage to those with reading privileges. And thus the term mushroom comes into effect. If not familiar with the term as it relates to us well it basically means they feed us 5h/7 and keep us in the dark. I will do a little research as well to see if there might be some assistance out there.